Today, business success greatly depends on internet marketing. It is essential for businesses to have an online presence. But what makes one business different from another? What would give a business, a competitive edge over its competitors? Launching an informative website is not sufficient or getting an edge over others. But a very well optimised website would surely dominate and grab the attention of a user. Efficient and well managed optimisation not only means better rankings, but also an improved user experience. What is the point in investing in the design of the website, if it does not appear in the search results of the user? 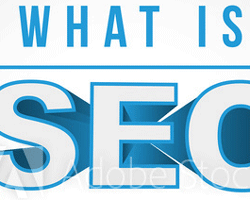 SEO is simply a process of structuring your website in such a way that search engines understand. Non-investment in SEO activities could result in loss of traffic to your website. Getting a first page listing helps the website to stand out from its competitors. In simple terms, search engine optimisation is the optimisation of the design, content and links of a website, so as to affect the visibility of the website in the search results of a user and display it as a top result. How will we understand what technical changes our company website needs to implement in order to be absolutely optimized? For that, an SEO audit will help you determine the areas where your website needs optimisation. An SEO audit informs us about the various on page and off-page optimisation that need to be performed. 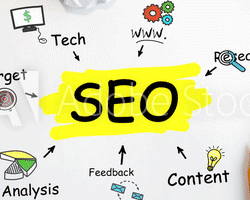 SEO has two main components : On-Page Optimization includes technical aspects related to the website like keyword research, meta tags, URL structure, Headings, Mobile friendliness, broken links, Google analytics, etc. Off-Page Optimization include link building activity on relevant websites like local listing, directories, social media, classifieds, forums and guest postings, etc. Often brands are not completely aware of the popular keyword the consumer is using for searching his brand products and services. Here comes the role of keyword research, where we can use related terms as substitute, to help us find the desired popular keywords using various Keyword tools like google keyword tool, keyword finder, moz keyword explorer, and sem rush keyword tool. The Keywords selection should be solely based on relevancy to your products / services, keyword popularity and keyword completion. It’s advisable not too target too competitive keywords in the initial phase as it takes more time to rank competitive keywords, instead you can target long tail keywords which are easy to achieve and are more lead generation oriented. Meta Tags : Meta tags are snippets of text that describe a page’s content; the Meta tags don’t appear on the page itself, but only in the page’s code. Title tag, meta description, meta keyword, canonical tag, robots tag are some of the tags that are generally used. Title tags are just like newspaper headlines. It informs search engines on the topic for specific webpage. Generally a title tag would be around 60 – 65 characters. Another important Meta tag is Meta descriptions which is a summary of your webpage. Earlier Google allowed only 160 characters, whereas now it allows up to 250 characters. Meta keyword informs about various keywords related to the webpage, but it’s not considered important by search engines and therefore have lost importance. Url Structure : Including relevant keywords in the URL of your website web pages is a good practise. Google uses this link to display your website in search results. Normally it’s the primary keyword related to the webpage which is used in the URL naming. Broken links are simply the links that no longer work. It may be because the website is no longer available, or moved without a redirect being added. When you see a 404 page error on your screen, that’s when you have clicked on a broken link. SEO,when done right, cleans the entire broken links of your website, to deliver a better user experience. Basically, Google analytics is a free tracking tool which gives you detailed information about your website visitor and their actions on your site. Using such a service, we can easily make marketing decisions and boost sales and revenue. It’s not only free, but also provides easy to understand reports. By using Google analytics efficiently, we can learn about the location of visitors, most popular content, traffic source, shopping behaviour of consumers, and much more. Gone are the days when people used to open their laptops every time they needed to search for something. People have started using smartphones and hence it has become important for websites to be mobile friendly or else it is going to lose a lot of customers. Also, page load time is equally important as customers do not hang on to the slow loading websites for long. Forums : Users get a platform to speak and discuss with other members and experts, and hence get an expert opinions regarding various topics. Getting involved in forum discussions helps to build your reputation as someone who is an expert in the matter and increase traffic on your website. Blogging: Blogs are one of the best ways to promote your website online. By posting on blogs, you give a reason for visitors to visit your website frequently. The more you keep your blogs updated, the more search engines to crawls your blog, it also helps in providing links to various WebPages related to your brand services / products. Local Listing : Local Listing is an online area-specific listing that contains the basic contact information of the business, for example, JUSTDIAL. You may be a website promoting local business, therefore instead of going global and increasing competition, list your website locally so that search engines can search your website easily. 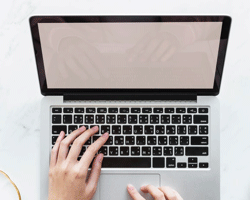 Guest Posting : is the practice of contributing a post to another person’s blog in order to build relationships, exposure, authority, and links. It is a good technique of link building from relevant domain authoritive websites. Directories : though people believe directory submissions are an old concept and not used any more, it is purely based on how efficiently we are selecting those directories and choose the category of submission. 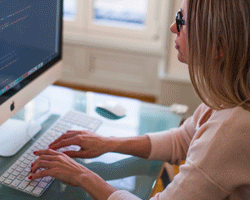 CAN I OPTIMISE MY WEBSITE ON MY OWN? One can surely perform search engine optimisation on their own. It may be an easy process if the company is a small scale industry and has limited reach and operations. But, when it comes to expertise and guaranteed results, an entrepreneur may not be able to achieve desired outcome. Which is why, companies hire professionals to perform SEO for their website, as this process can be confusing and frustrating for the entrepreneur and he might not be aware of the best way to approach it. Doing it on your own can also result in unnecessary costs and delayed or failed responses.